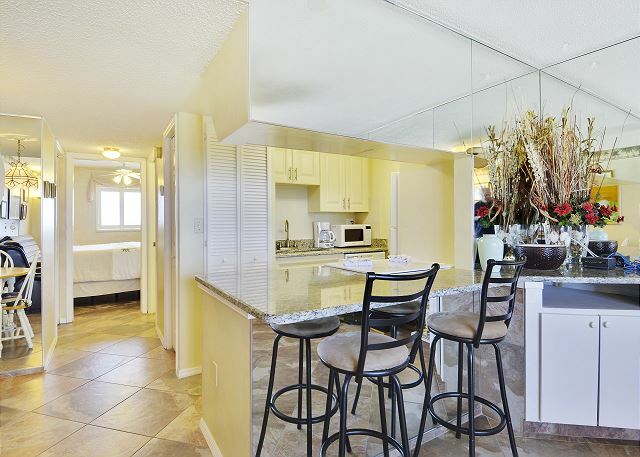 This condo is located in the popular Sunset Beach neighborhood of Treasure Island. 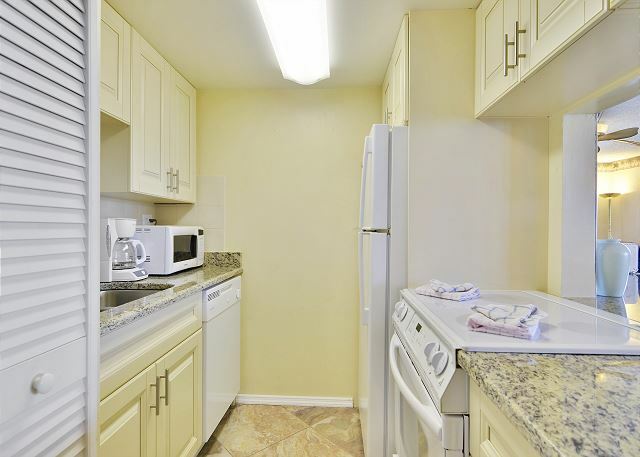 It has 1-bedroom, 1-bath and a nicely equipped kitchen, no dishwasher. 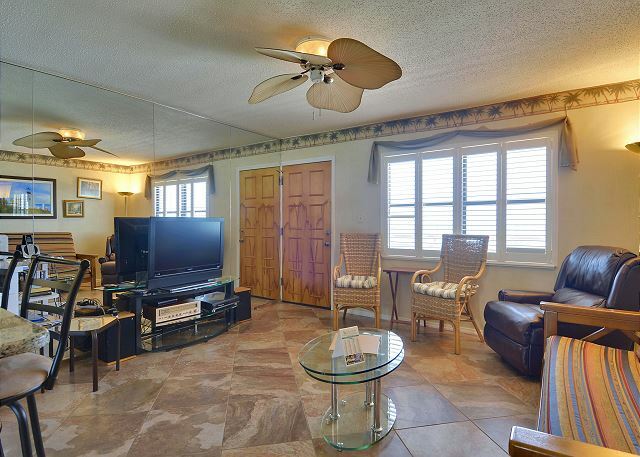 Nice tile throughout and comfortable tropical decor. There is a king bed in the bedroom and a sleeper sofa in the living room. Coin operated washer/dryer on site. 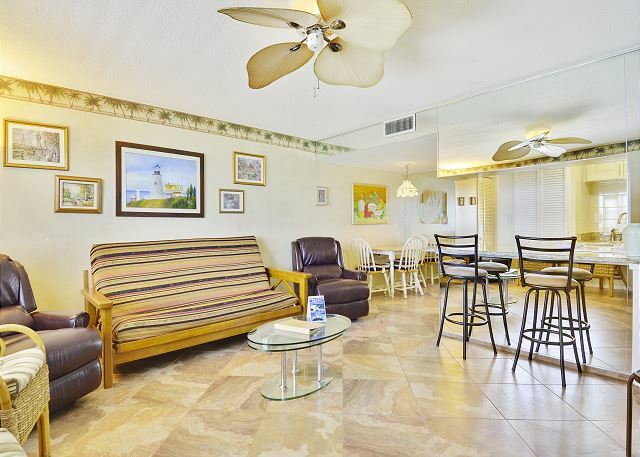 The living room is on the beach side of the condo and it has a large window facing the Gulf of Mexico. The view is fantastic! Free Internet service is available. a guest from Bloomington, IN does not recommend this vacation rental. 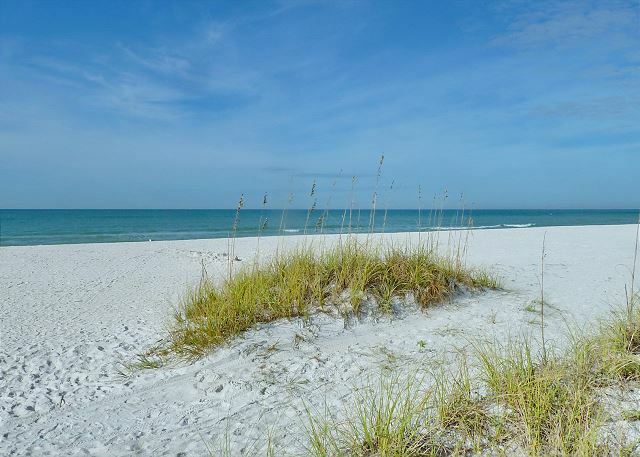 Great location on Treasure Island;great beach.Our unit has a very comfortable place to put toiletries in the bathroom.Decor very dated and poor layout in the great room with significant wasted space.Shower area very nice. Thank you for your feedback, we are sorry if this condo was not the right fit for you. We have quite a large inventory with many option in the area, please let us know if we can help with a future visit. Susan E from Normal, Illinois does not recommend this vacation rental. 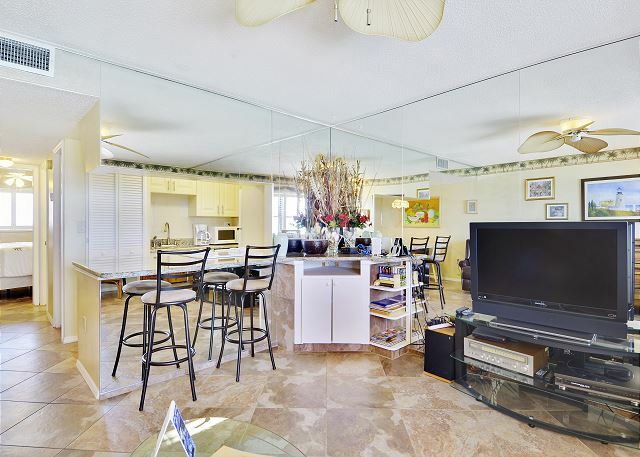 This is a smallish condo right on the beach! The flooring, bathroom and counters are upscale but some of the rest is dated. Lots of mirrored walls. Futon is sized more for two children - not adults. Only sheets and one blanket provided for futon. Bedroom bed is extra large with lots of pillows. Cooking and eat in supplies very limited-for example one knife and no pizza pan. We had to buy coffee filters and dishwashing detergent. Management supplied with a coffee sample, 2 dishwasher pods, 1 laundry pod, 2 rolls of TP and a roll of paper towels. TV was not connected to anything upon arrival but management company got a cable box in the day we called. A closet did contain some beach chairs. 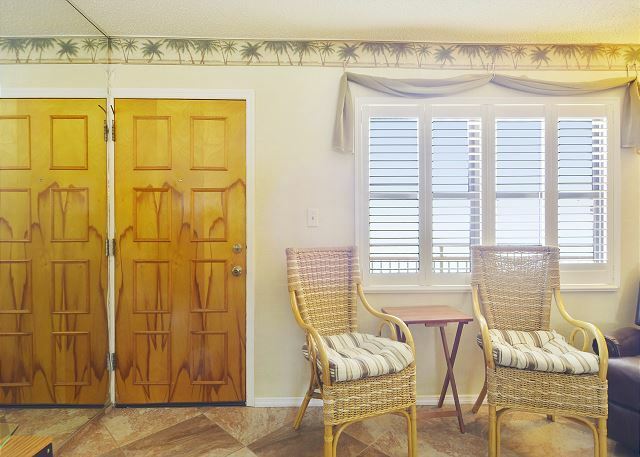 Balcony is not private; stretches across the entire beach side of the building. Building painting was being done while we were there which was annoying but unlikely to affect others in the future. Elevators are slow and reportedly cranky. Luckily we didn't personally experience many of the elevator problems reported to us by others onsite. Thank you for your feedback from your recent stay at Sunset Chateau. We are sorry for any maintenance work that was taking place onsite as well as any elevator problems that may have been reported. In regards to any items that were missing from the condo, we will be sure to take a look at this. Please do not hesitate to call us at our office if you are in need of any kitchen items, extra bedding, etc. as we do keep a number of supplies here that we are more than happy to get your way. It is true that we only leave a "starter supply" of some items as we have found that everyone's preferences are different with those items so we just leave enough to get you started. The cable boxes were all updated throughout our entire county in the past few months and the project has been quite a mess so we are sorry things were not in place upon your arrival. Thank you for calling us though so that we could get that corrected immediately for you. Thank you again for your feedback and for being our guest and if this condo was not the right fit for you, we have quite a large inventory and I'm sure we can find you the perfect fit!! Hope to see you back to our area for a future visit. Glad you enjoyed your stay here and the area as a whole!! Thank you for being our guest and we hope to see you back for another visit to our area. The condo was very clean. It is small, not many dishes but, was fine for one person or maybe two. 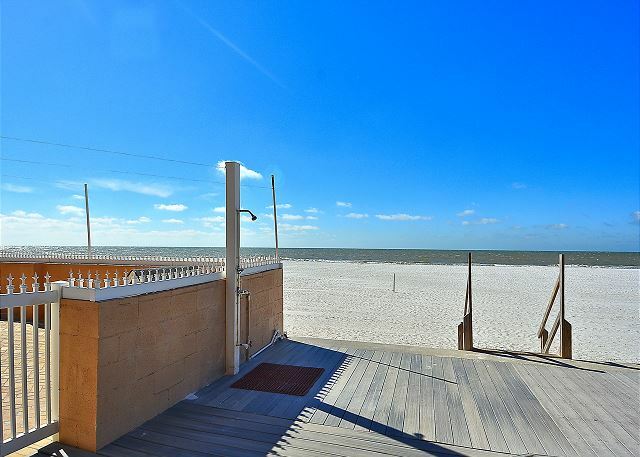 The front door opens onto a walkway with a wonderful Gulf view. Beach is great. Only set back is no chairs at the pool. Otherwise great. Resort Rentals was wonderful-never saw the on-site mgr. 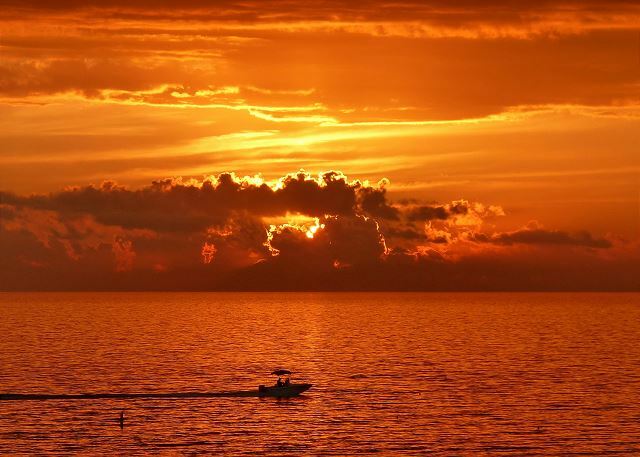 Thank you for your feedback and we hope you enjoyed your time on Sunset Beach! Thank you for choosing to stay with us and we hope to see you back for another visit next year! Yikes, we will be sure to contact the condo association on that one! They do take care of the property over there and have regular maintenance done, hopefully the tag had just not been switched but we will for sure look into this. Sorry for any troubles you may have had! 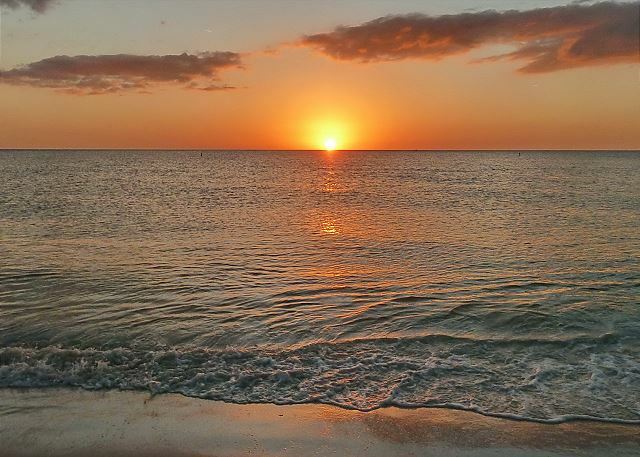 Thank you for staying with us and we hope to see you back on the beach for another vacation in the future! The furniture could definitely use some updating. There is no couch, just a futon and 2 recliners. There are way too many mirrors for our taste. Overall, the property is great for us. The unit however, was ok. We would definitely stay at this property again. Not sure if we would stay in #506 again. We would use Resort Rental again, very friendly staff and easy to work with. We had a wonderful stay at Sunset Chateau. The location is perfect, right on the beach with a full view of the sunset every night from the balcony. Quiet and relaxed atmosphere, but there are restaurants and bars within walking distance. The condo was nice and clean. 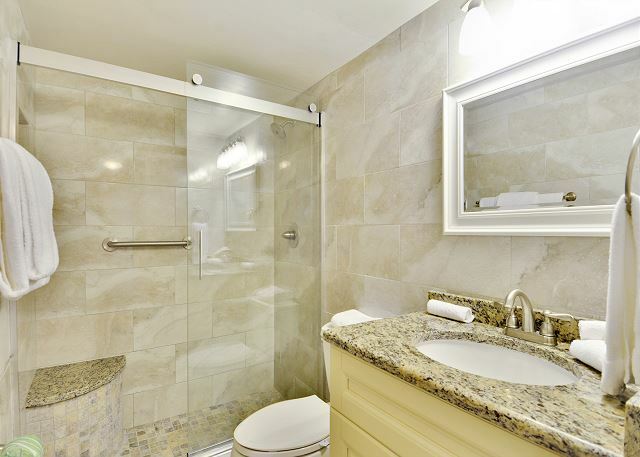 We are so glad you enjoyed your stay in this premier condo in our inventory! 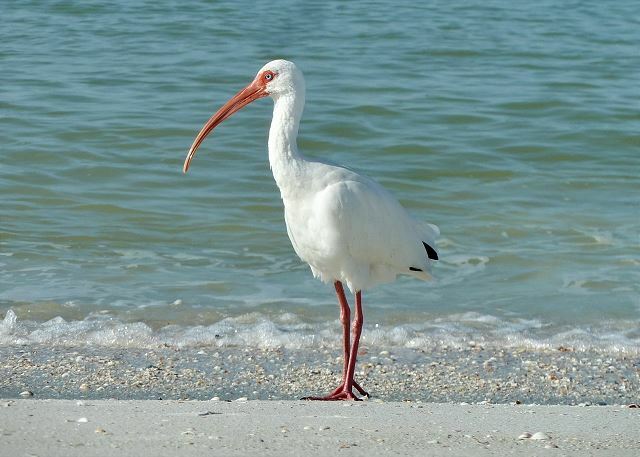 Sunset Beach is a great little stretch and we are so glad you are comfortable here. Thank you for being our guest and we look forward to having you back for future visits! Best location on the beach! We have stayed at Sunset Chateau for 10 years now, and are still amazed by the beauty of the area. For a toes in the sand location, it couldn't be better. So wonderful to hear!! 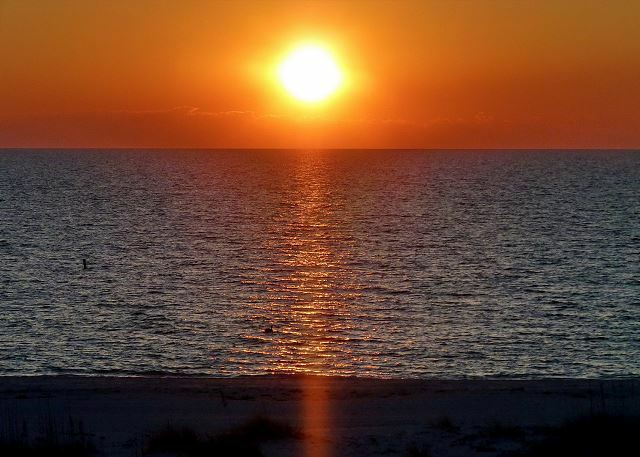 :-) We are so glad you enjoy this location and we look forward to your next visit to Sunset Beach! Gift for employee -they really enjoyed it! Cyndy B from Dubuque, IA does not recommend this vacation rental. I paid for the ocean; it was right there outside our door. Perfect. Condo #506 was OK place to stay. Over priced in my opinion, but I wanted to be on the ocean & I got that. Needs updating. Bed very uncomfortable, not to mention too high for short person like me. My husband saw a large waterbug skitter across the floor. Where there's one... Husband fixed screen, which would not shut all the way (windblown). 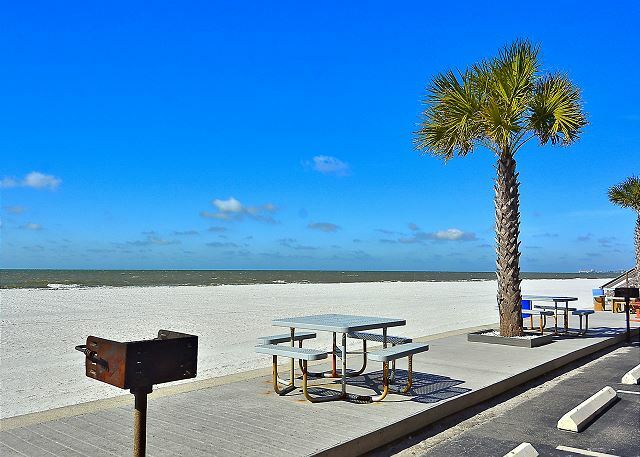 But, it was an OK place to stay as a base & enjoy the ocean and amenities of Treasure Island. Would definitely come back to Sunset chateau. Not this condo. Thank you for your feedback from this condo. 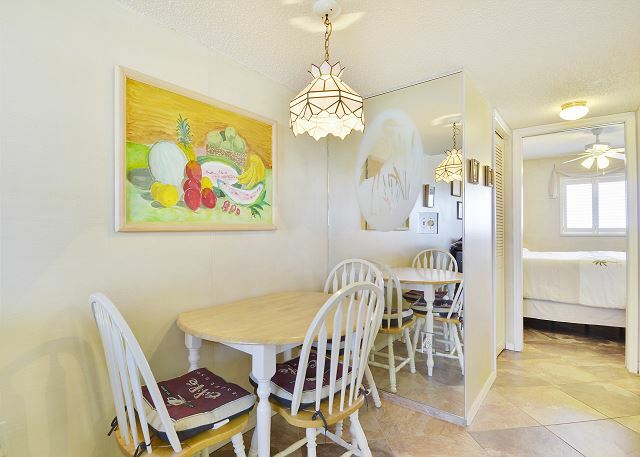 We are glad to hear you enjoyed the location of this property and the over all area, we are sorry if this condo was not the right fit for you. We will be sure to look at the items you have listed here, as well as pass them over to the owner for their review. We do understand that everyone's preferences in the bedding department do vary, but we will take a look at all. Thank you again for your feedback and we hope to have you back on our awesome beaches for another visit. My wife & I rented the sunset château for Christmas. As we were staying during the high season, we had to rent several different places in Treasure Island. Actually four of them. Sunset Château may not be the fanciest place, but it is the coolest one and the cheapest one with great people around us. My overall experience was wonderful. I do not drive so the market and restaurants were not close, picking up the keys and dropping them off was a bit inconvenient would have been nice to have a spot on property for this, The rental staff were great and helped with any questions I had, Ty Dawn! We are so glad you had a good stay at the Sunset Chateau property!! :-) We do apologize for any inconvenience that the key pick up and drop off caused for you.....yes, without a car that does make it a bit tricky and we are very sorry for that! Thank you for staying with us, we enjoyed having you and hope to see you back again soon! Very nice great view clean. would have liked more modern television. We are so glad you had an enjoyable stay at Sunset Chateau and were able to bring your grandsons down to build some wonderful family memories!!! :-) The properties direct location on Sunset Beach really is awesome and we are glad you all had fun on the beach and in the pool. Thank you for being our guest and we hope to have you back to create more family memories soon!! Unit 506 was very nice, attractively furnished with everything we needed. It seemed really clean, and I especially liked the abundance of white towels (with all linen laundry service provided). 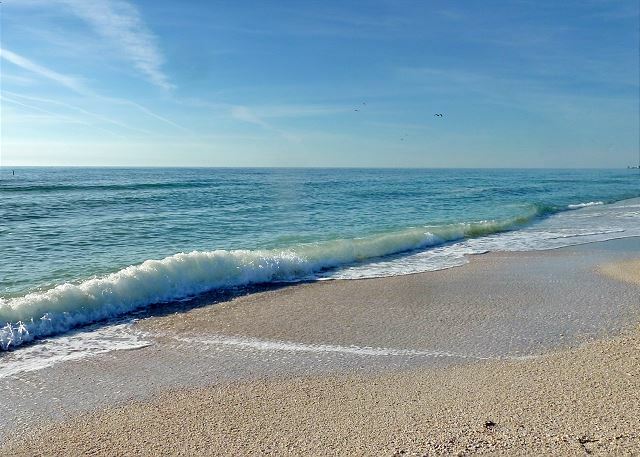 The location is perfect: gorgeous beach, quiet location, but still near anything you could want. This was our 8th year at Sunset Chateau (in different units, but always on the 5th floor), and the 5th floor is the greatest!! 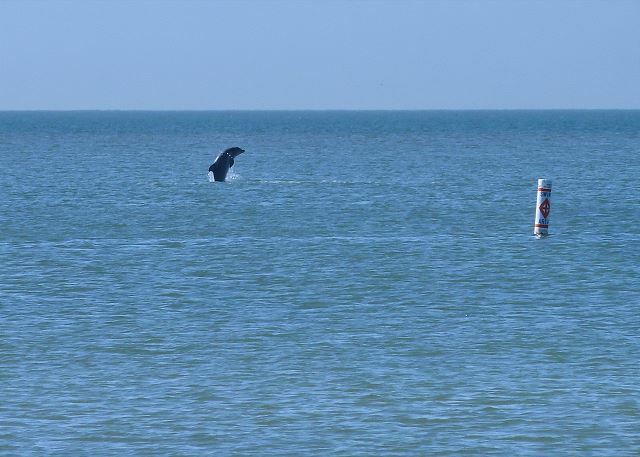 We are so glad you enjoy your time here, it really is a great spot on an AWESOME stretch of beach!! :-) Thank you so much for staying with us and we look forward to your 9th year at Sunset Chateau!!!! We noticed a few things that were missing from the unit that would be helpful if they were available, more glasses, laundry basket, manual can opener, potato masher. We would also suggest less chairs in the living room. Thanks for the feedback!! :-) We are sorry for the items that were missing and we will be sure to pass this over to the owner for review. We keep a number of frequently asked for items here at our office so during your next stay should you find anything missing, please just give us a call and we are happy to help with that! Thank you for staying with us and we look forward to your next visit! This was a wonderful week for my husband & I. I was one of the first owners at his condo and had not been back in 30 yrs. What a surprise at the care and condition of the building and grounds. 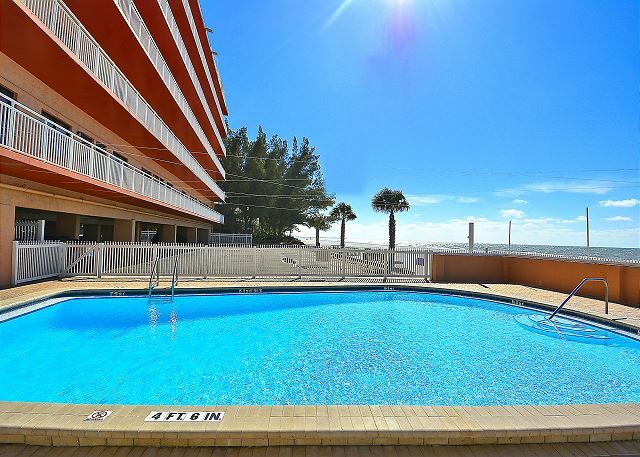 This condo sits directly on the beach and is a wonderful experience if you love the ocean. It is a simple building and easy living!!! Thank you for the post. How neat to go back after all of those years!!! We are so glad you and your husband were able to come back to the area and see the property again, what a wonderful vacation setting for you!!! We are so glad you had a good time and we hope to see you at the Sunset Chateau again soon!!! 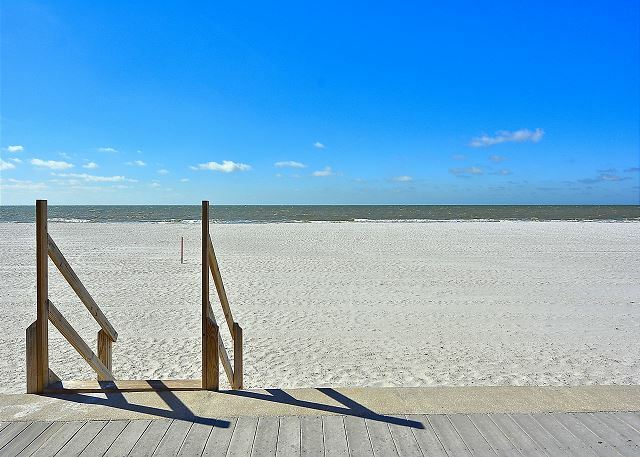 Escape from Winter and relax on the Gulf Beach! 2nd winter vacation at this location.....excellent location close to many wonderful restaurants....some within walking distance! Sea Hags and Crabby Bills had excellent sea food! Easy access to church, grocery stores and retail mall and golf courses. Property was well maintained...pool was heated....neighbours were very friendly...relaxed atmosphere....wonderful customer service from Rental Agency 5 min from the condo. We hope to return to this location! Despite the poor weather, I really enjoyed being right on the Beach at Treasure Island. We had big wind storms, which brought in an assortment of fascinating shells, and walks on the Beach. The unit was adequate for 2, and undercover parking always available. I would like to have seen some promotion and encouragement for Recycling. There were no signs. I did find a Single stream Recycling Deposit up the road. Few knew about it. a guest from Mulkeytown, IL does not recommend this vacation rental. enjoyed the holidays in warm Fl. Great Place! I've been coming down to Treasure Island for 20 years by far the best peaceful location. The room was adequate and fit our needs. Not many dishes but we ate out most everyday anyway. No dishwasher so I would have thought they would have left some dish soap. I loved how close it was to the beach. There are two elevators but only one was working and we were stuck in that one for about 20 minutes at one point. I did not like the shared balcony but we were fortunate to have good neighbors. We never used the pool since the ocean was very warm but the pool looked clean and well kept. Shell seeking was good as this area was less populated than the beaches to the north. Caddys on the beach was a short walk and had good food. Shopping in johns pass was fun. Many good restaurants to choose from. Very happy with overall experience other than 1 elevator being out of order. Booking was easy; payment was easy' key pickup was also easy; the location was perfect. A few suggestions would be a sharp kitchen knife, a kettle, some dish soap, salt, pepper and lawn chairs to take to the beach. 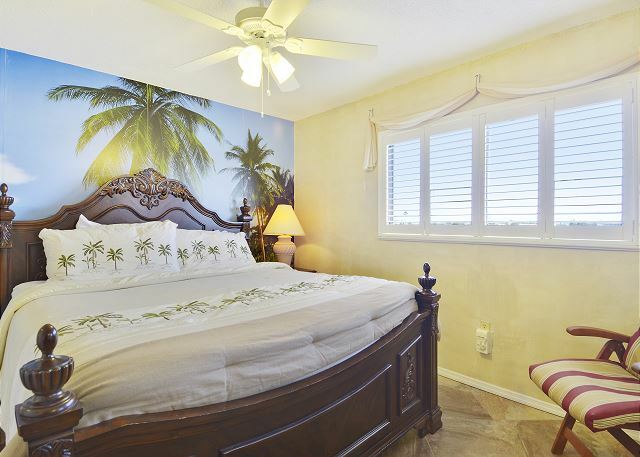 The property itself was in great shape but the location is what makes it paradise. 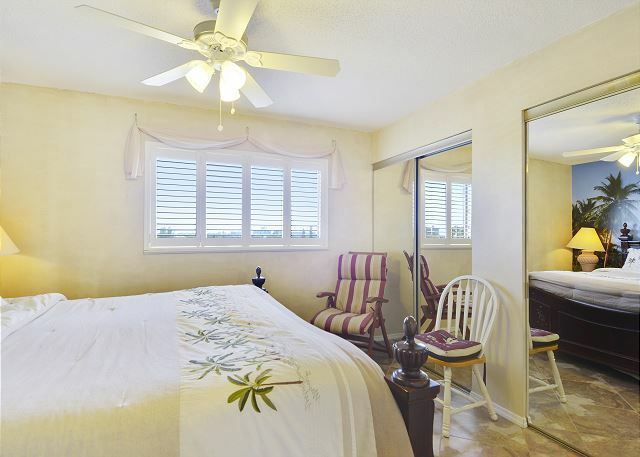 The view from the bedroom is over Boca Ciega Bay toward South Pasadena and the living area faces the Gulf of Mexico. Great for sunrise and sunsets. Of course, it also has the wonderful beach sands of Sunset Beach for a mile in either direction. Pleasant, relaxing stay through Christmas and New Year. We had a wonderful time, the condo was very clean , quiet and nice. We felt very safe and love being right on the beach. We will definitely go back. Condo was absolutely spotless when we arrived. Impressive. Great location friendly neighbors. Unit could use some new throw rugs and a cover on the futon in the living room. Also shelve paper in kitchen cabinets. Some minor improvements could greatly improve the unit. Needs more cooking supplies in the kitchen.